1. The Asiana jetliner that crash-landed on Saturday at SFO, resulting in the deaths of two teens, approached the runway at a low altitude and a slower-than-normal speed, the Mercury News and SFGate report. The pilot of Flight 214 was inexperienced with Boeing 777s. NTSB Chairwoman Deborah Hersman said, however, that it’s too early to determine the exact cause of the jetliner crash. San Francisco Fire Chief Joanne Hayes White, meanwhile, said one of the teens who died in the incident may have been killed by a San Francisco fire rig that was responding to the crash. The chief said the teen’s injuries were consistent with having been run over. 2. 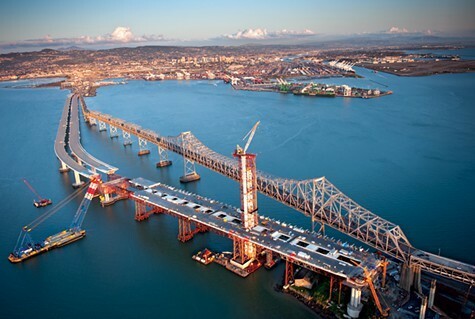 State transportation officials are scheduled to announce today whether they plan to open the troubled new eastern span of the Bay Bridge on Labor Day as scheduled, the SacBee$ reports. The $6.4 billion structure has been plagued with problems, including defective steel rods that snapped earlier this year. 3. The legislature has approved a 4.5 percent raise for state employees, AP reports. Under the deal, SEIU members will receive a 2 percent raise on July 1, 2014 and a 2.5 percent raise on July 1, 2015. 4. California’s decision to cut health-care benefits to low-income residents of rural areas was illegal, the Ninth Circuit Court of Appeals has ruled, the SacBee$ reports. 5. And the East Bay Regional Park District is moving forward with a plan to create a new park near Mount Diablo by purchasing 1,885 acres of ranchland that had been slated to become a suburban housing development, the Chron$ reports.